Piers Morgan announced that he will not be returning to NBC’s “America’s Got Talent” next year. Morgan made the announcement on Wednesday during his CNN show “Piers Morgan Tonight,” and later took to his twitter account to share the news with his more than one million followers. Morgan cited his difficulty with juggling both shows as his reason for leaving “America’s Got Talent.” He said that it proved to be more difficult than he anticipated, and was looking forward to solely focusing on his CNN show and its coverage of the 2012 presidential election. Morgan has been the judging “America’s Got Talent” since 2006. He also previously judged “Britain’s Got Talent” with Simon Cowell. Morgan thanked Cowell personally when he announced his plans to leave the NBC show. 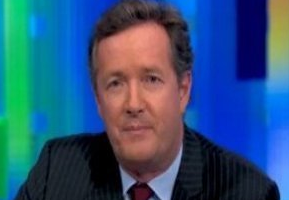 Morgan took over Larry King’s coveted 9 p.m. spot on CNN in January 2011.